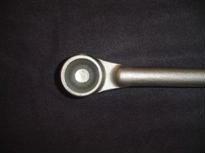 KDK KDK struts are part of the group of forgings that make up the chassis for ride control. Quality struts can provide better ride control. Forged struts are made from a variety of carbon steels. They are typically made with cup diameters from 1 inch to 2 ¼ inches. Forged cups are then fitted with ball studs and grease fittings. Sand blasting and hear treating is also available. Torsion bars are used to absorb the shock in the chassis or a vehicle. They can be used in conjunction with other ride control components to provide a smoother ride. KDK manufactures torsion bars in a variety of shapes and sizes for several different applications. 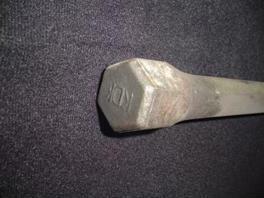 The diameters of the Torsion bars can range from 1 inch to 2 ½ inches. 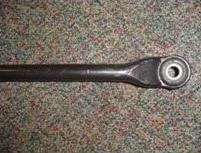 The length of automotive torsion bars typically range from 3 feet to 5 feet. KDK manufactures Drag links in a variety of shapes and sizes The head diameter or cup shapes vary in size from approximately ¾ inch to 3 ¼ inches in diameter. The lengths of drag links can range from 12 inches to 2 feet in length. We can customize drag links per your specifications. We also can provide finished machined sockets as well as unfinished sockets for you to machine, grind, or assemble. The Tie Rod connects the center link to the steering knuckle on cars that have conventional suspensions. The Tie Rod connects to the end of the rack in rack and pinion steering systems. The tie rod transfers force from the steering center link or rack gear to the knuckle, causing the wheel to turn. The outer tie rod end connects with and sleeve, allowing the tie rod to be adjustable. KDK produces the forging portion of stabilizer bars which are a vital component of the ride control system. They can also be called anti-roll bars. There are many variables involved in the design of a stabilizer bar. Forces in vertical and horizontal directions can be corrected with the use of a stabilizer bar. They function to keep the car flat during turns or over bumps and in general improve the ride control. There are several components within the automotive chassis that help maintain ride control during driving. KDK manufactures several of these components that are vital components of ride control systems. 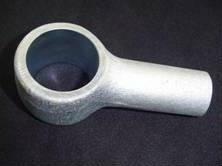 KDK produces forgings for sway bars, drag links, Tie rods and other forgings for ride control systems.